A serene oasis is awaiting you, right in the heart of Concord. 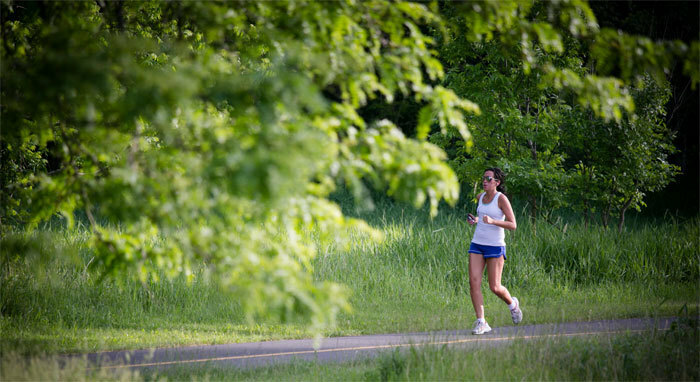 Stroll (or jog) along the four miles of paved trails and sidewalks that make up Concord’s Downtown Greenway Loop. Complete the various Life Trail fitness stations on the McEachern Greenway Downtown Connector. Enjoy nature’s beauty up close on paved trails adorned with stone walks and walking bridges. Relax at picnic shelters, powder your nose in public restrooms (located at McGee Park and Les Myers Park) and be sure to say hello to your knowledgeable Park Ranger.